A new campaign out from UN Women uses Google autocomplete to expose the sexism and misogyny that continues to characterize how we talk about women. The search function predicts and displays search terms based on the activity of other web users; the more popular a search term, the higher up it will be on the list of suggested searches. 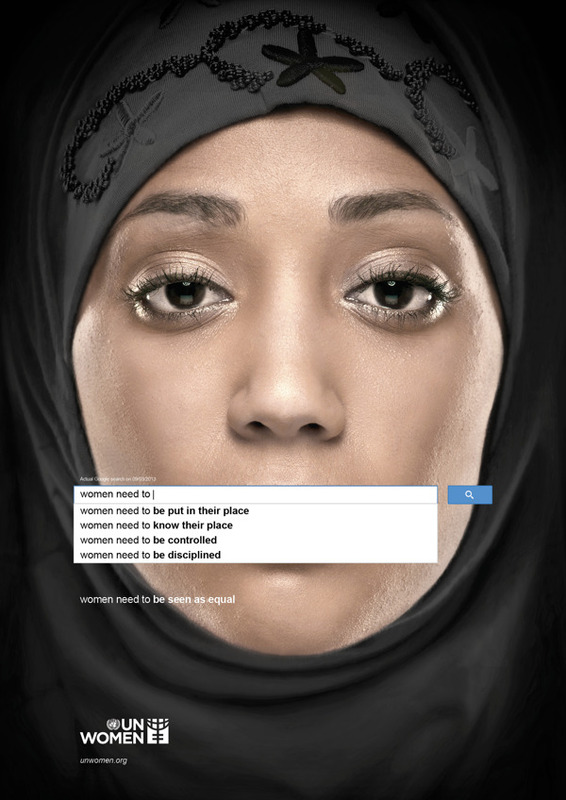 As the campaign demonstrates, when you type in "women need to," Google recommends searches for "women need to be put in their place," "women need to know their place," "women need to be disciplined" and "women need to be controlled." These are real search results from September 2013.